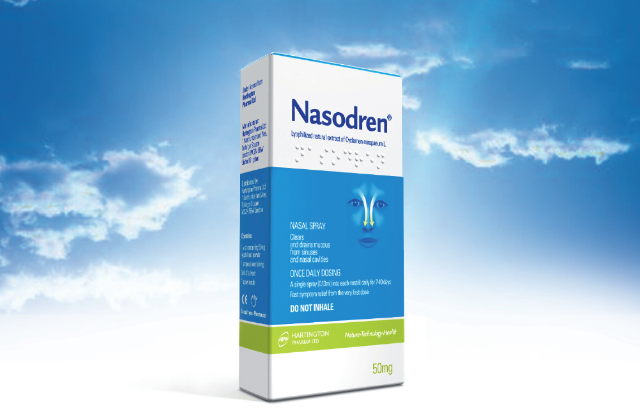 Nasodren for Sinusitis Treatment: Can pregnancy be a cause of sinus headache? Yes. Pregnancy may become a cause of sinus headache in response to an array of hormonal changes in the body and the bad posture. The hormonal changes may trigger sinusitis and non-allergic or allergy-induced rhinitis. For instance, the increased level of hormone progesterone may cause swelling of the mucous membranes and in turn, symptoms of sinusitis may develop. The nasal congestion secondary to the hormonal changes may also cause sinus infection, leading to the headache. During pregnancy, the blood flow to the nasal region increases, leading to congestion sometimes. Extremely sensitive immune system of the expectant mother is more prone to allergen- induced congestion and inflammation that interrupts movement of the cilia within the paranasal sinuses. Static mucus encourages growth of harmful viruses and bacteria, causing infection and may trigger headaches. Avoid foods to which you are allergic. Dehydration, low blood sugar and / or insufficient sleep due to pregnancy may also cause the headache. The headaches are generally common during the first trimester. The headaches may suddenly appear and disappear. The headache duration varies from a few minutes to a day. About 30% of the expectant mothers experience sinusitis symptoms. Even the women who do not have a history of nasal symptoms can suffer from sinus infection during pregnancy. Sinusitis may exacerbate during pregnancy, worsening asthma symptoms. Mucus production and vascularity increase during pregnancy, making the expectant mother more vulnerable to sinus congestion. Increase in the mucus production protects the body against allergens and germs. Thus, the nose may run and the eyes may water. In case of women prone to sinusitis and sinus congestion, incidences of sinus headaches, especially temporal or periorbital headaches, increase during pregnancy. Since pregnancy may be a cause of sinus headache, resist the temptation to administer over-the-counter (O.T.C.) relief pills without consulting the physician, as these medicines have side effects for the mother and the baby. Especially, consult the doctors before taking popular sinus headache relieving medicines, including Advil Cold & Sinus, Alka Seltzer Plus Sinus, Bayer Select Sinus Pain Relief, Mortin IB Sinus and Sine-Aid IB. Alternatively, you may try warm compresses for the nose and eyes to relieve the sinus headache. Since the nasal cavities are more active and tender during pregnancy, steam inhalation may also help. There is another reason to consult the physician. Pregnancy can cause different types of headaches, like tension and vascular headaches. Correct diagnosis is the prerequisite to decide the best treatment. Thank you for the interesting read. Being pregnant seems like it presents one with many chances of getting sinusitis especially if they are not medically sound.